Elliot Stock, «The Antiquary, A Magazine Devoted to the Study of the Past», Volume XXXI, Published by Elliot Stock, London, 1895. «The late Mr. John Henry Parker's name is so closely associated with quite a small library of admirable manuals on architecture, and with a number of other works on archaeology, all of which are well known, that it will be something of a surprise to many persons to learn that about fifty years ago», 1895 - 1847 = 48 years, «he published» [Parker, J. H.; 1847; Glossary of Terms used in British Heraldry]. «The book, too, has been out of print so long that it has become almost forgotten». «The new edition now published by his son, Mr. James Parker», [Parker, J.; 1894; Glossary of Terms used in Heraldry], «is practically, as he himself tells us, a new book, and the elaboration and care which have been bestowed upon it are as characteristic of this as they are of the other archaeological works, for which both father and son have been so honourably distinguished for more than half a century». «Another well-known characteristic of the Messrs. Parker's books is the copious manner in which they are illustrated». «The present volume fully maintains that reputation, and the neat little woodcuts, which occur in great profusion on nearly every other page, are often a great help in explaining in a practical manner the significance of a heraldic term». 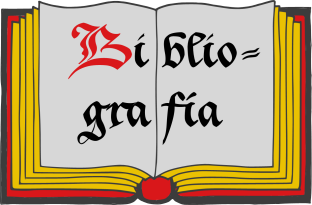 «To anyone who is beginning the study of heraldry this will render the book of great value and usefulness; while others who know more or less of the science will not be disposed to regret the lavish manner in which explanatory illustrations are provided». «So far as it is possible to judge there are very few, if any, inaccuracies in the book, although we are bound to express surprise in finding in such a work as this, the old fiction repeated, that the figure of our Saviour, in relation to the dedication of the cathedral to the Holy Trinity, on the arms of the See of Chichester is that of the mysterious being known as Prester John». «We thought this absurd theory had been fully exploded long ago, and to find it perpetuated in a work like this is a little startling, to say the least». About the Presbyter John, usually called Prester John: «this singular figure is represented as seated on a stone (described as a tombstone), and forms the insignia of the See of Chichester, the only instance in which the bearing occurs», [Parker, J.; 1894; page 476]. «The origin of the figure is obscure». «In 1180 the seal represented the Figure of Christ seated on a Tomb, with perhaps a symbolical reference to» the Book of Revelation i. 16, and v. 1, also called the Apocalypse of John the Apostle. «Early in the next century the mythical story of Prester John, a supposed King of central Asia, was current, a certain Franciscan monk, by name Carpini, who went out as a Missionary in 1206, having brought home or invented the story, and this being very popular was afterwards, perhaps, applied to the device». 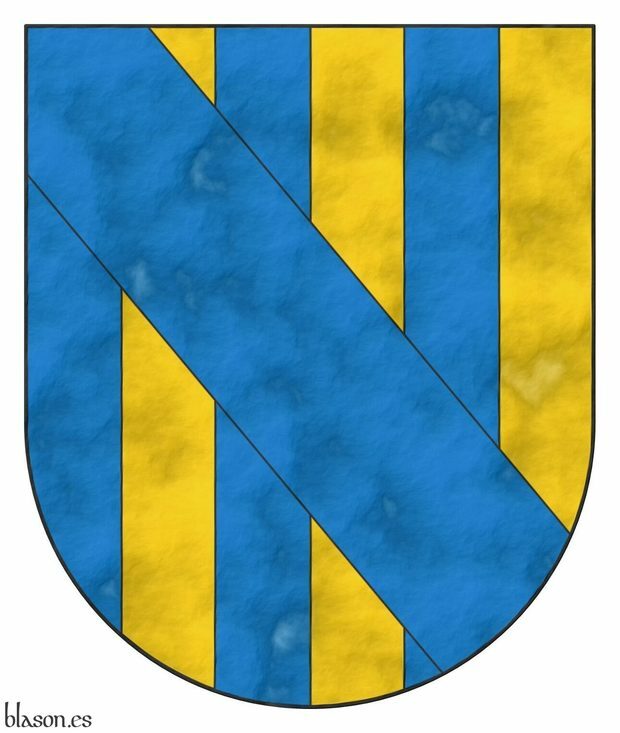 About the blazon of the Bishopric of Chichester, he writes «Bishoprick»: «Azure, a Presbyter John hooded sitting on a tombstone, in his sinister hand a book open, his dexter hand extended with the two forefingers erect, all or; in his mouth a sword fessways gules, hilt and pommel or, the point to the sinister», [Parker, J.; 1894; at the end of the page 476]. About «tombstone» as an heraldic term, [Parker, J.; 1894; page 576] writes: «the seat of Prester John (q.v. )» ~ quod vide ~ which see «in the insignia of the See of Chichester, and of Saint Mary in those of the See of Lincoln», see also the term nimbus or «Cicle of Glory» at [Parker, J.; 1894; page 424], «is so called, though in neither case is it at all probable that the bearing is intended for such». «It would be an interesting fact to ascertain exactly when and by whom», Elliot Stock asks himself, «the very wild idea of Prester John on the Chichester shield was first started». 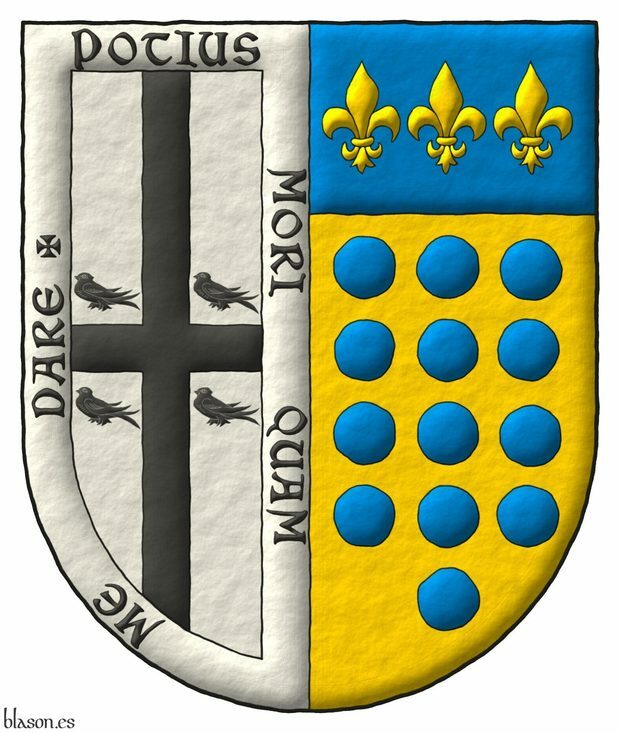 Nowadays, the Diocese of Chichester, in its on-line explanation about its coat of arms, writes «The most common misconception, which was still being repeated in 1894», the Diocese does not cite directly James Parker's book, but cites its publishing year 1894, «was that the arms show Presbyter John sitting on a tombstone». «A letter circulated in Europe in about 1165 referred to the annual visit of Prester John and his army, complete with chariots and elephants, to the tomb of the prophet Daniel in Babylonia Deserta». 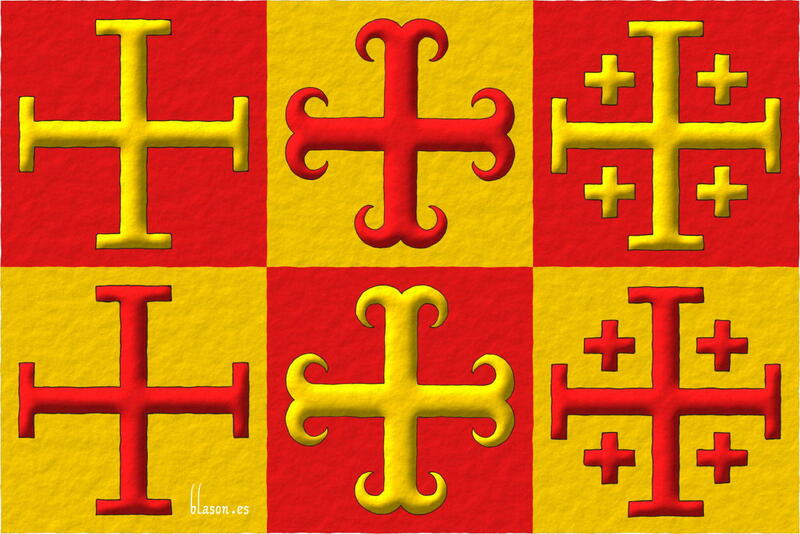 «It was the imagery of this letter», about the Prester John and the tomb, «that seems to have become attached to» the coat of arms of the Diocese of Chichester with its human figure, nimbed, sitting in a tomb or an altar. «no less than 32 pages are taken up in describing the different heraldic forms and uses of the cross», [Parker, J.; 1894; from the page 149 to the beginning of the page 179] and with an internal index, dedicated exclusively to the cross, on [Parker, J.; 1894; pages 179 and 180]. «and 8 with the various forms of the crown», [Parker, J.; 1894; from the page 181 to the page 188]. «In every instance the subject dealt with is thoroughly worked out». «Indeed, thoroughness may be said to be one of the special characteristics of this useful and welcome volume». He was an English publisher and bibliophile, he born in 1838 and died in 1911. The publishing company that bore his name was in business from 1859 to 1939. The Antiquary magazine was published by his publishing company from December 1879 to 1915. Classification: Magazine and English language. The author is Stock, Elliot. The Antiquary, Volume XXXI, datails. The Antiquary, Volume XXXI, contents. Elliot Stock, publisher of the The Antiquary. 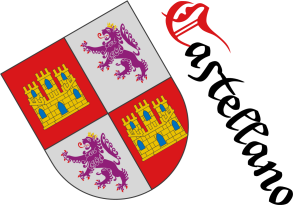 Chichester, Coat of arms of the Diocese. Sigue por: Vittorio Gifra, pointed shield and metal beaten finish. 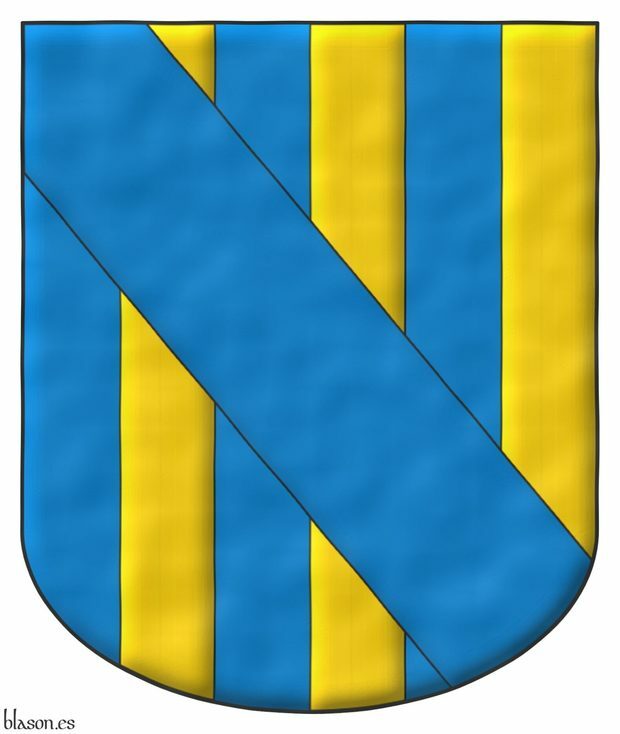 Parchment, Pointed, Azure, Bend, Bibliography, Bordure, Surmounted, Cantoned, Five, Cross, Cross moline, Cross of Jerusalem, Cross, Cross potent, Quarterly, Four, Outlined in sable, In pale, Coat of arms, Schema, Fleur de lis, Personal, Gifra, Vittorio, Gules, Illuminated, Interpreted, Chief, Motto (motivation), Castilian language, English language, Manuscript, Martlet, Semi-circular, Hard beaten, Or, Paly, Party per pale, Argent, Magazine, Hurt, torteau, pellet, pomme and golpe, Hurt, Sable, Six, Century XIX, Century XVI, Over all, Spot ink, Freehand and Thirteen.